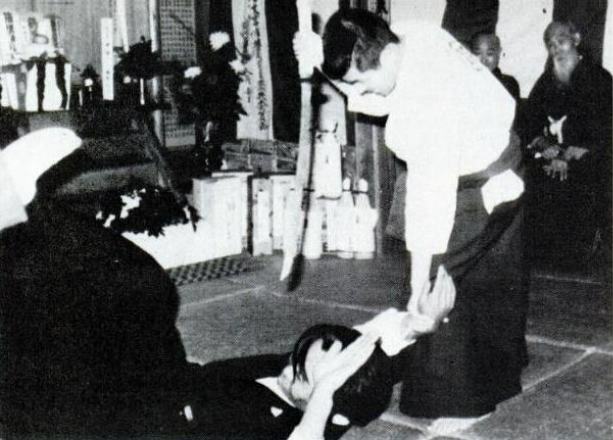 Toshio Okuyama demonstrates an advanced arresting technique. 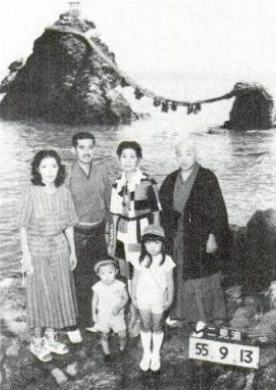 In the background, his father Ryuho Okuyama and a close friend observe. For centuries in Japan, the lineage of unique martial ryu (systems) has been closely guarded and handed down from father to son. Normally, the transmission is given to the eldest male child of the family, buy from time to time when no son is available or willing, a close student can be adopted. There have also been instances where the eldest daughter-or even her husband- inherited the system. Typically, the chosen one began training at an early age, not only in the techniques of the ryu, but also in the routine, day-to-day chores of managing and administering the dojo. Much of his actual learning would come about through observing the father, rather than through direct instruction on a step-by-step basis. By means of this method, the son would develop much stronger intuition, since he had come to understand techniques on his own, rather than by being told how they work. This process is active today in Japan and may be seen in the martial art called Hakko-ryu Jujutsu. Founded in 1941 by Ryuho Okuyama, Hakko-ryu is a jujutsu system that teaches how to control a violent attacker by applying pressure on keiraku (meridians) causing intense non-damaging pain, and thus destroying the attackers will to continue. Ryuho Okuyama’s eldest son, Toshio Okuyama, was chosen to be his successor and was given the title nidai ieme (second generation). Waka sensei (young teacher) as he is known has been receiving training from his father indirectly for the past 28 years. He began his training in Hakko-ryu and Koho Shiatsu (Japanese finger-pressure medicine) in 1949 at the young age of five, and continues to grow stronger in his skill every day. While his father, Okuyama Sr. continues to be very active in teaching and writing, Waka handles the everyday matters of running the Hakko Juku Honbu (private headquarters of Hakko-ryu) and helps administer the various branch dojos in and outside of Japan. On any given day, he may be seen teaching Hakko-ryu, giving Koho Shiatsu medical therapy to patients, corresponding with instructors around the world, writing articles for various publications, or just keeping books. Periodically, various instructors of Hakko-ryu form Japan and foreign countries who are ranked yondan (fourth degree black belt) or higher are invited by the Okuyama family to train at Hakko-ryu Honbu as uchideshi (special disciples). This is the old method used by Japanese martial arts to insure excellence in their advanced and most dedicated students. 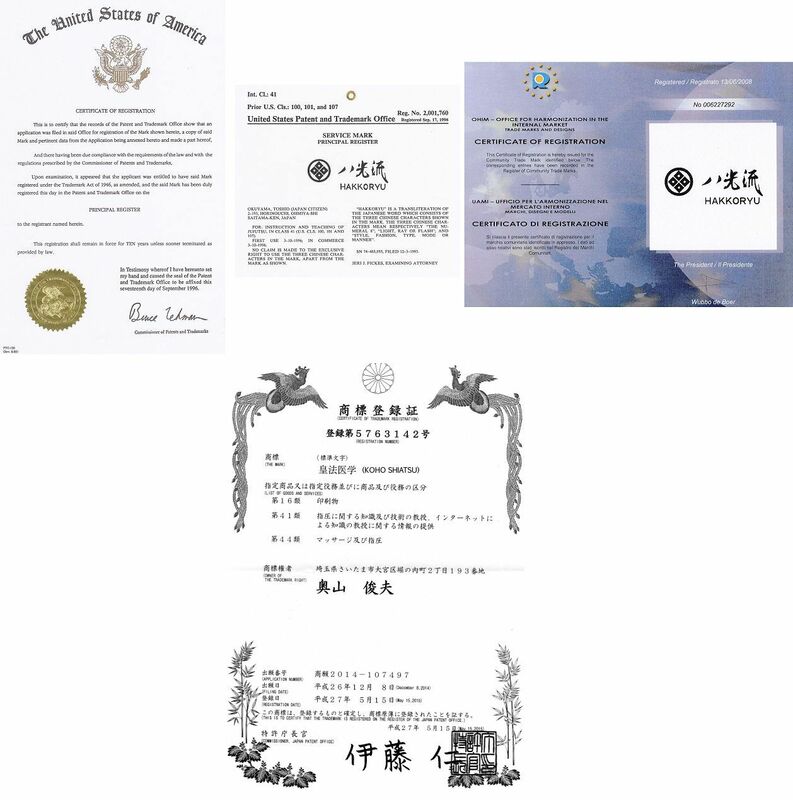 In Hakko-ryu, there are four levels of black belt: shodan, nidan, sandan, and yondan. Training for these titles may take place at any Hakko-ryu dojo which is authorized by Okuyama Sr., but only the Okuyamas may promote or train students for more advanced rank. This training takes place at the Hakko-ryu Honbu in Saitama Prefecture, where the Okuyamas live and teach; and it is available by invitation only. Should a student be invited to live with the Okuyamas for advanced training, he will be expected to help with the day-to-day activities, which are supervised by Waka. The actual Hakko-ryu training in advanced arts, called soden kai (transmission ceremonies), are taught personally by Okuyama Sr. with Waka assisting, or at times by Waka alone. There are four levels of advanced instruction given at Honbu; Shihan (master teacher), Renshi Shihan (senior master teacher), Kaiden Shihan (master teacher of the deepest mysteries) and Sandaikichu (the three great foundation pillars). Okuyama can halt an attacker with intense non-injurlous pain. (1) First grabbing his foe’s wrists and focusing his weight on their meridian point. (2) Controlling one wrist. (3) Okuyama entangles and pins the other with his leg. Training sessions, while numerous, are brief, as the Okuyamas can inflict considerable pain in a very short amount of time, often accompanied by howls of laughter. At any one soden kai, usually five students at the most are invited, so intense personal training can take place. The Okuyamas think it very important to know personally each of the advanced teachers, so the numbers are kept to a minimum. At the conclusion of the uchideshi training a formal ceremony takes place in which Shinto services are performed and advanced teachers from around Japan are invited to come and watch the uchideshi demonstrate Hakko-ryu techniques. Both Okuyama Sr. and Waka supervise this ceremony and normally give small talks on Hakko-ryu philosophy at the conclusion. From time to time, the Okuyamas travel about Japan to give instruction of Hakko-ryu and Koho Shiatsu at the numerous small dojo scattered around the islands. Once each year they give a free public demonstration to crowds as large as 800. These demonstrations can be quite impressive, and are often rough on the attackers. At one demonstration five years age in Wakayama City, Waka did an advanced entangling technique against two opponents and quietly walked off the stage. It took the attackers 30 seconds to untangle themselves and get free. The dedication of Waka and Okuyama Sr. extends through their entire family – A commitment shared by members of three generations. Waka is well known for his ability at healing patients with the Koho Shiatsu techniques, originated by his father. The Koho method involves first diagnosing the patient’s illness with a combination of pulse diagnosis and ninso (face and body readings). Characteristics are separated into yin and yang categories and their relative balance is then determined. Following the diagnosis, the shiatsu treatment is performed. Pressure is applied to keiraku (meridians) to restore balance in the ki flow, and thus restore health. Treatments normally last about 15 minutes, and are given every day or so until the problems disappear. The Okuyamas run two shiatsu clinics, one in Tokyo, and one at the Hakko Juku Honbu. Occasionally, when a patient is bedridden, Waka will travel to his home to give treatment. He says that a patient’s mental attitude plays a large part in the development, and so also in the improvement of an illness, since body and spirit are contained within each other and the condition of one has and effect upon the other. The Okuyamas give periodic shiatsu instruction at Honbu dojo, and students travel long distances to attend. At these seminars, Okuyama Sr. lectures on diagnosis, theory, and case histories. Waka gives the teaching demonstrations on practical techniques. Waka is also certified by the Japanese government as a bone-setter, which he studied in Tokyo at Daito Bunka University many years ago. Shiatsu, of course, he learned from his father. Aside from his martial and medical interests, Waka is a master of bonsai (miniature trees). He developed a love for bonsai as a youth and has been studying and practicing for the past 14 years. The internationally known Bonsai Mura (bonsai garden) is not far from Honbu dojo, and many times Waka’s own creations are on exhibit for public viewing. Outside of Honbu dojo Waka’s bonsai may be seen regardless of season. Waka is married, with on daughter named Fumiko and a handsome young son named Takashi, who it is hoped will one day become the sandai ieme (third generation) of the Hakko-ryu tradition. Thus it is seen that in Hakko-ryu, old traditions continue to exist and function for the betterment of the group. It is hoped that the ryu’s principles in their pure form will be maintained through Toshio (Waka) Okuyama, son of the founder and future inheritor of the school. As for what Waka feels about the future, he says only that he hopes and prays that Japanese and foreigners alike will accept and practice the principles of Hakko-ryu and Koho Shiatsu, so that their nonviolent, balanced method of life will spread peace throughout the world.